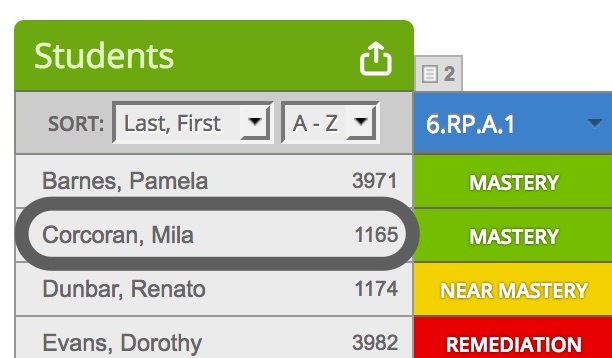 Click on a student's name in your tracker to view that student's report. In the Student Report, you can view an overall report of the student's mastery of standards as well as each standard that is being assessed. In the circle graph, you will see the percentage of mastery for the standards that have been assessed. You can also see the percentage of near mastery or remediation, and the percentage of standards that have not yet been scored. On the right side of the Student Report, you have the options to print the report, view report details, or email it to parents. 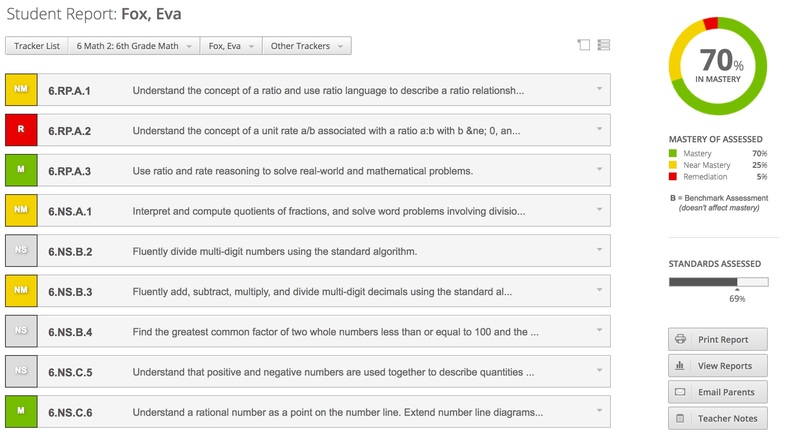 You also have the option to add Teacher Notes, that parents can see on the Parent Portal.